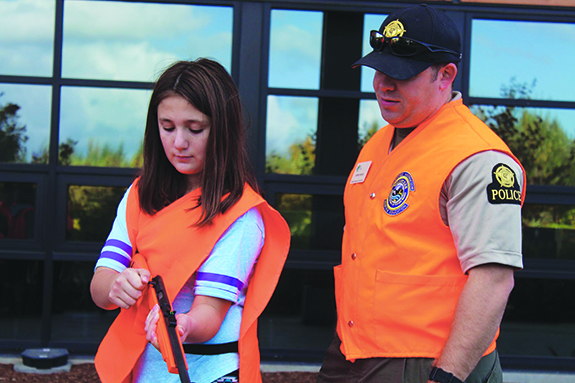 Over the weekend of October 21-22, ten Tulalip tribal members, comprised of nine youth ages eight through eighteen and one parent, spent their days off at the Tulalip Administration Building learning the fundamentals of hunting and firearm safety. The course, presented by the Stillaguamish Tribe’s Fish and Wildlife Enforcement Office, is a Washington State requirement for hunters who wish to obtain a Washington hunting license; as well as a requirement for Tulalip tribal members between the age of fourteen and eighteen who wish to obtain big game hunting tags. “The course was first initiated when [Tulalip Fish and Wildlife Director] Jason Gobin and [Tulalip Natural Resources Licensing/Records Technician] Yvonne Williams asked us to come from the Stillaguamish Tribe to teach a Hunter Education Class,” explains Stillaguamish Fish and Wild Life Enforcement Captain, Bill Hebner. “The Tulalip Tribes require Hunter Education in order to obtain a hunting and fishing license. It’s a state course and we’re state authorized instructors and we like to cooperate and work closely with the Tulalip Tribes. 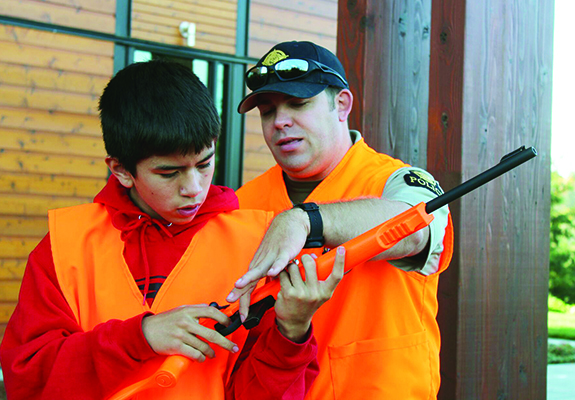 Hunter Education teaches the basics of hunting, such as game identification, firearm safety, zone-of-fire and the importance of wearing hunter orange. The course requires sixteen hours of class time and is taught through an eleven-chapter workbook, a variety of videos and ends with a hands-on outdoor firearm safety course, which details the safe handling, loading and unloading of firearms as well as safe carrying positions. The young tribal members were engaged from the beginning to the end of the ineteractive course. Several youth are excited for the chance to exercise their hunting rights including Tony Hatch who states that she, ‘just can’t wait to get my first elk’. Fellow student, Kaiser Moses, believes the course is informative and recommends it to all young inspiring hunters. 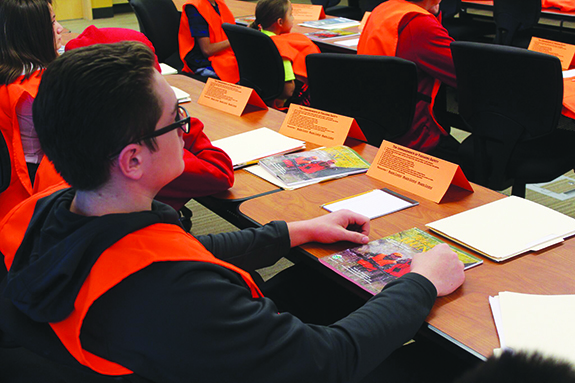 The students now anxiously wait for the results of their exam; those who received a test score of seventy-five percent or higher can take the next step in obtaining their hunting permits. For further details, please contact the Tulalip Natural Resources Department at (360) 716-4480.